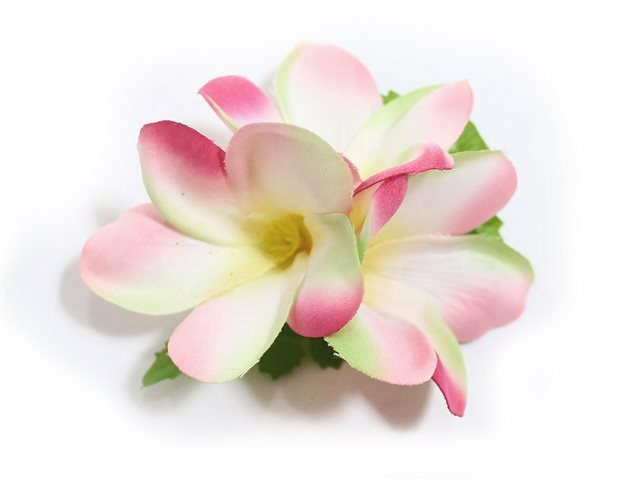 Purchased Item: Pink Extra Small Plumeria Hair Clip 3"
Nice but a little small. I like the size and wished that you offered it in purple/white to match the lei that I purchased. This was the closest match that I could find.